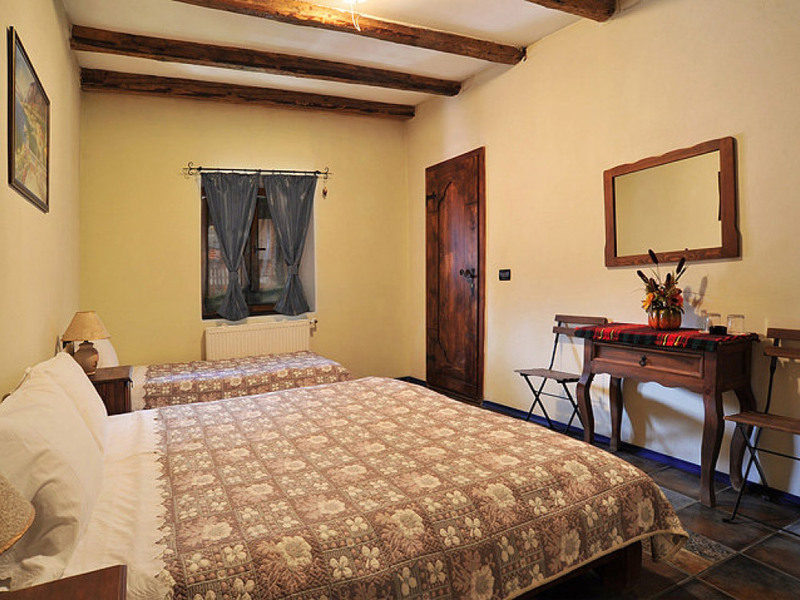 Chalet Garibaldi sleeps up to 20 people with 8 modern en-suite bedrooms with traditional features such as dark wood beams and exposed brick-work. 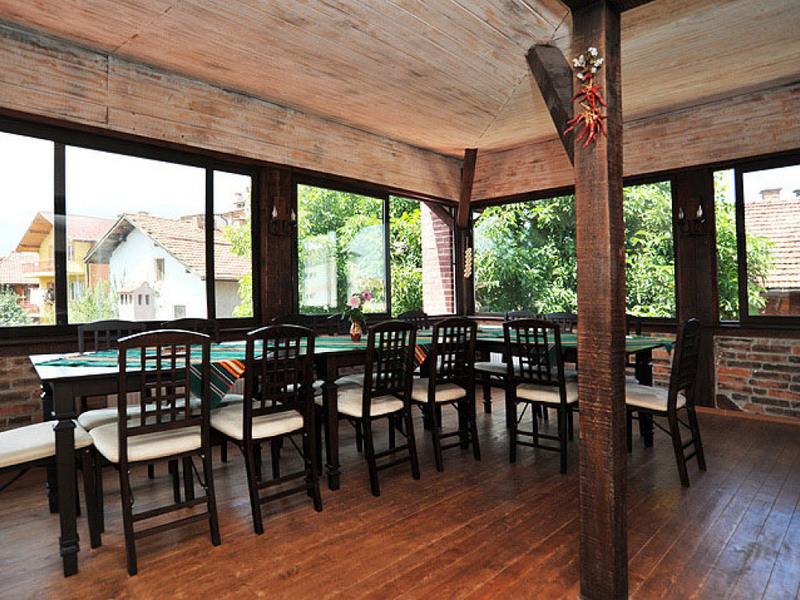 The sunny dining room with mountain views is a great place to sit and chat about the days events or watch some TV. 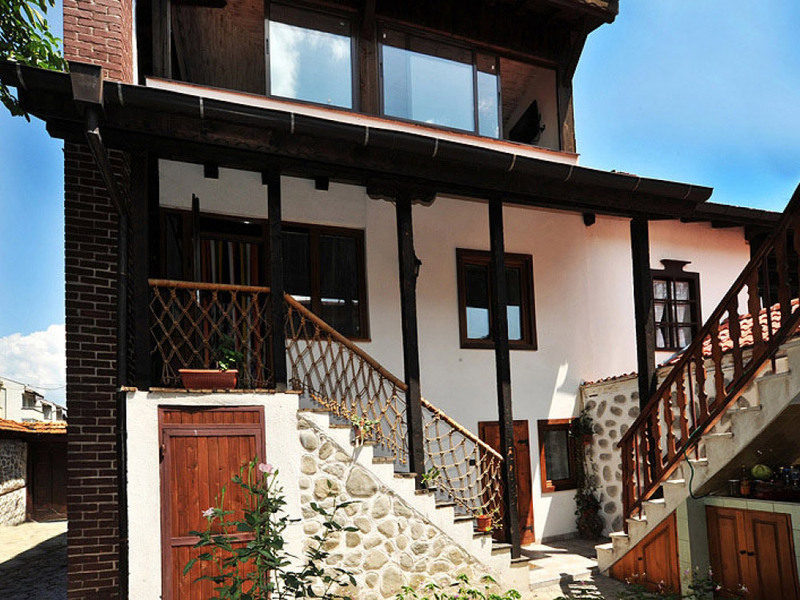 The chalet is centrally located, only stones throw from the historical old town and main street in Bansko where there are an abundance of local shops, bars, restaurants, and nightclubs. The main ski lift is just a 10-minute walk and it is possible to leave ski/board equipment at the gondola and walk to and from the chalet in your normal shoes. We also provide daily shuttle services in our chalet minibus. A delicious 3 course evening meal is served on 6 nights of your stay, washed down with unlimited Bulgarian wine and beer during dinner. We also have a selection of world wines, prosecco and other drinks available for you to purchase from our honesty bar. Prices are per person. If you have a large group of 11 or more people, we offer discounts, please let us know your group size in your enquiry for a bespoke quote.